Help, how to topics > Library Patrons > How to set "Patron Suspended" status? 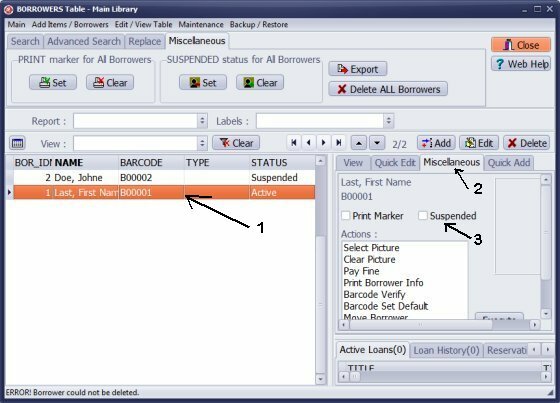 Librarian can set the status of the borrower to Suspended. There are several ways to apply this status. You can generate a report of all suspended patrons. The Suspended status blocks patron from further transactions. 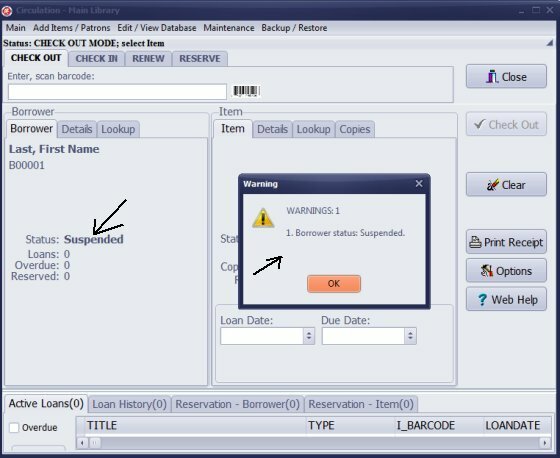 Library software displays warning messages if suspended patron tries to check out items. In the Edit Borrower window set Suspended. 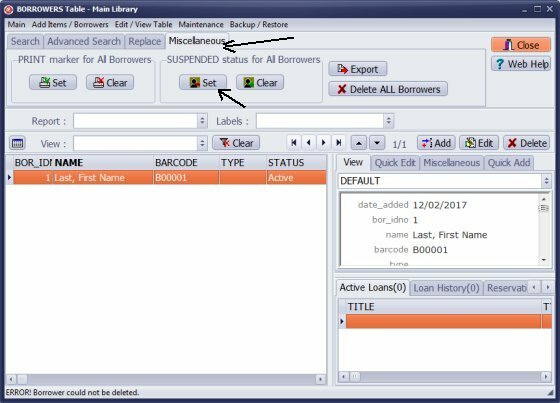 In the Borrowers window: select borrower, on the Miscellaneous tab click Suspended. In the Borrowers window: select borrowers, on the Miscellaneous tab click Suspended. This will set the Suspended status for all displayed borrowers. In the Circulation window: for the selected borrower, on the Details tab click Edit Borrower and set Suspended status. Warning message is displayed when "suspended borrower" is trying to check out library items. How does the Active Status field work? 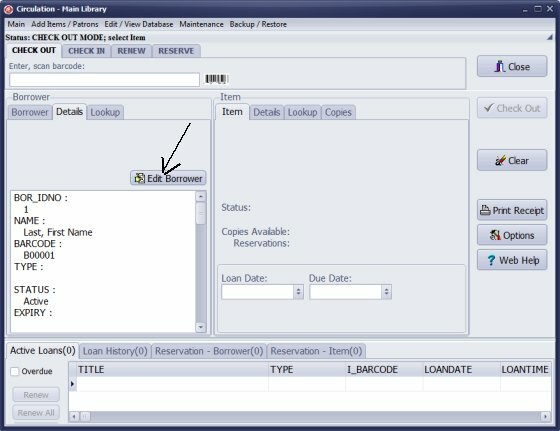 What happens if I forget to type in Active in the status field of a library patron? Will they not be able to check out a book? 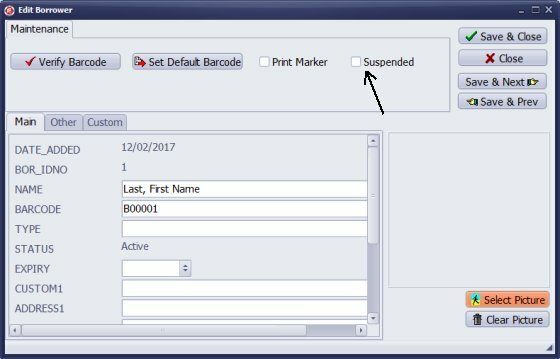 You only use this field when you want to suspend the borrower (it will display warnings when the suspended borrower is trying to process check outs). Status field value could be Suspended, Active, or empty. You can process all check out transactions for the selected borrower if the value of this field is empty or is set to Active.